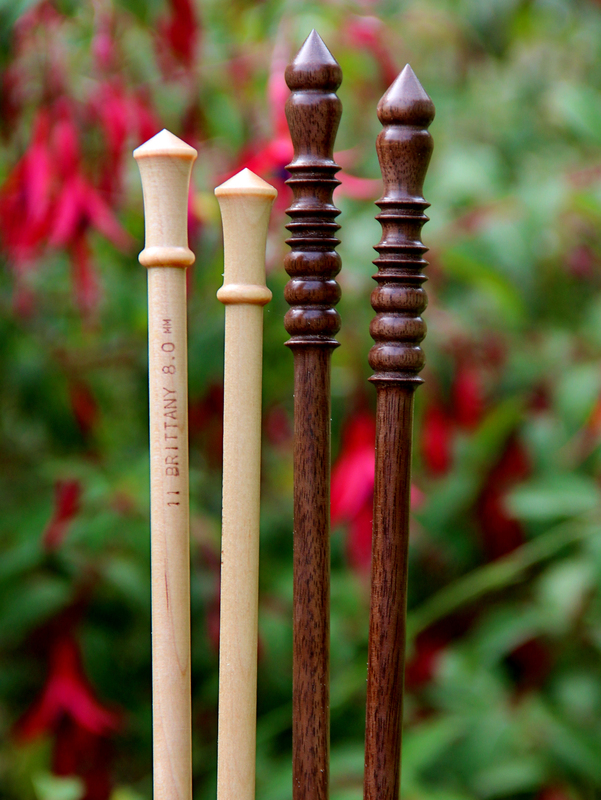 BRITTANY knitting needles and crochet hooks are made in the USA from sustainably harvested Birch and Black Walnut. These finely crafted wooden tools are hand finished and exactly sized. They are not only beautiful to look at but feel warm and smooth in your hands and are a pleasure to work with. To find out more about our new walnut line click here. Most of the beautiful images of our needles were taken by our talented friend Danni at Danni Carlsen Photography.